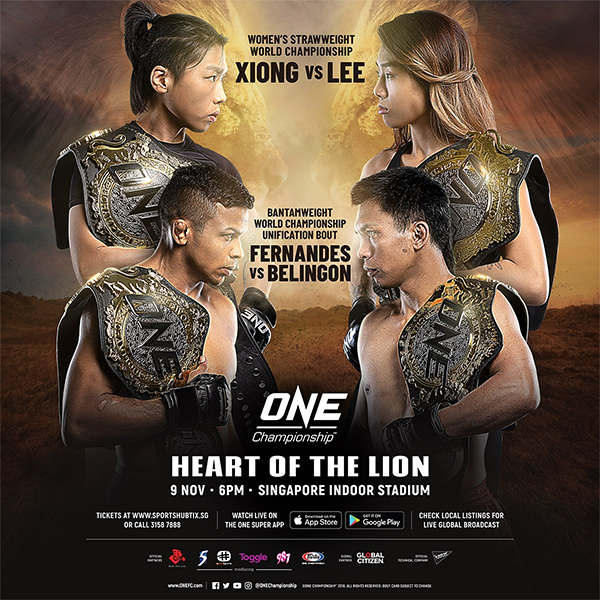 ONE Championship 83: Heart of the Lion is a mixed martial arts event scheduled to take place on November 9, 2018 at the Singapore Indoor Stadium in Singapore, Singapore. Angela Lee (9-0), who’s currently ONE Championship’s atomweight titleholder, was set to challenge Jing Nan Xiong (13-1) for the promotion’s strawweight belt in the headliner of Friday’s ONE Championship 83 event, but a back injury has forced her out of the card. 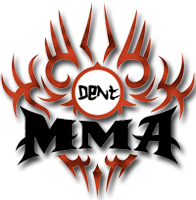 ONE now lists the title unifier between undisputed bantamweight champion Bibiano Fernandes and interim champ Kevin Belingon as Friday’s main event.